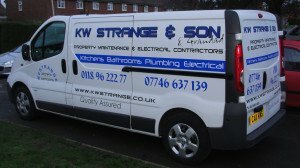 Vehicle graphics are proven to be one of the most cost effective ways of advertising your business, from a simple logo or web address on the back of a car or van to a full graphic wrap. You can find statistics all over the internet for how effective professionally designed vehicle livery can be and what a positive impact car and van graphics will have on your brand awareness. 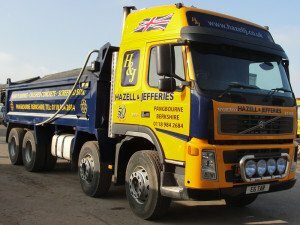 We have an extensive vehicle library that allows us to design your vehicle graphics. We can come to you and install your graphics on site so you don’t have to lose too much time having your vehicle off the road. Being based on Portland, Dorset of course means that we do boat graphics. But our vinyl graphics aren’t just for sea fairing boats, we can also do vinyl graphics and boat names for river boats, barges etc. 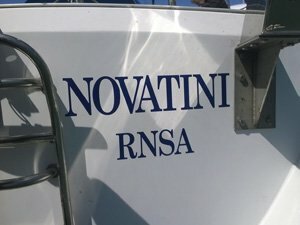 We have a huge library of fonts to choose from for your boat name, just give us the size to fit to and the sort of typeface you like and we will send you a visual. 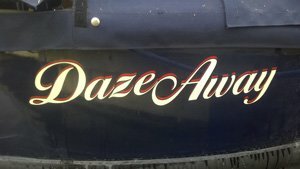 If you send us a photo of where you would like your boat name to go then we can give you an idea of how it would look in place. 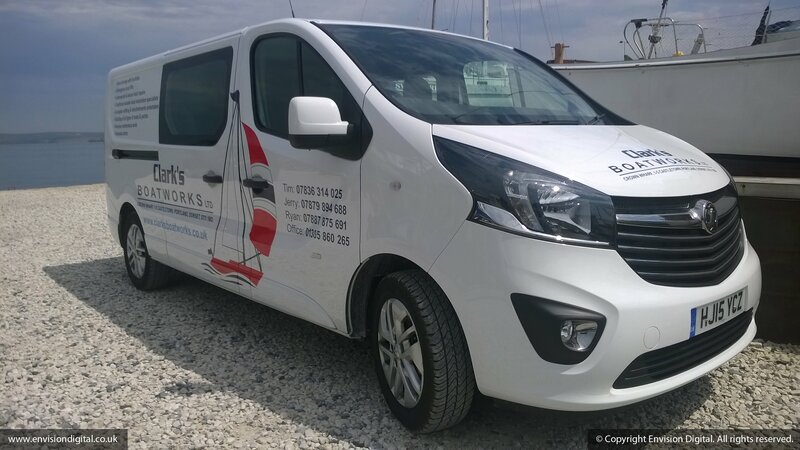 If you want your boat name to stand out a little more, then we offer bespoke design for your boat graphics. If you are too far away or are confident with applying vinyl or simply want to save money on your vehicle graphics it’s no problem. We can send out your boat names or vehicle graphics should you wish to apply them yourself. We have some easy to follow instruction sheets and videos to follow to help you transform whatever vehicle you like.